When you communicate with your potential customers, clients and affiliates by sending them your business message on your letterhead, you’re enticing them to your business. But how much they are impressed entirely depends on how beautifully you present your case to them. The first impressions they get about your business or what you do is when they rip open envelop and see your letterhead design or business stationary design. They get the feeling of professionalism about your company and business if the design is done in a nice way. But if the design isn’t nice, you may lose your clients forever. While you take care that your email has your company logo and your signature, your letter correspondence must also be typed neatly on your corporate letterhead. If such professionalism is missing from your correspondence, you’re doing nothing but putting your business at a major risk. 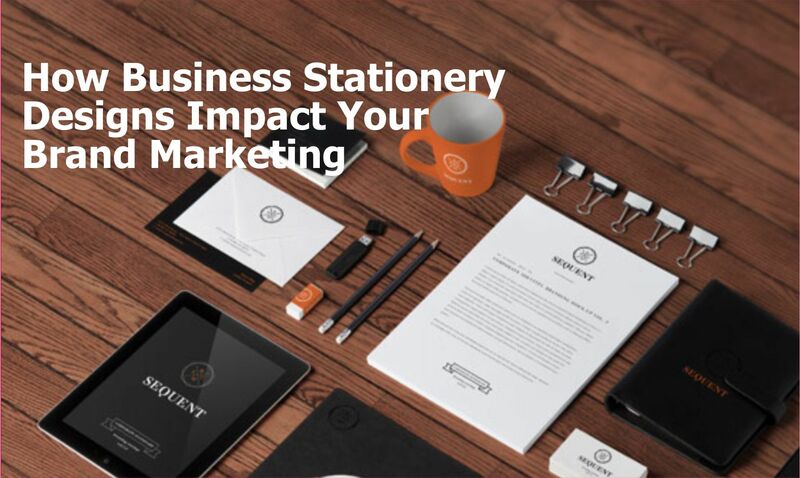 According to dummies.com the definition of business stationery is that it is a set of paper literature that includes everything from your business cards to your letterheads. Often, ‘’stationery’’ is used synonymously with ‘’letterheads’’ and so it includes paper and envelops bearing your company name, logo, address, phone number, email and web address. Usually, a standard size paper of A4 or Letter size, or #10 envelopes make for good stationery choices. Experts believe that one must opt for a slightly heavy weight paper for professional stationery use. Small businesses worldwide usually prefer 28lb or 32lb of paper weight for stationery. Why letterhead is so essential to your business? Show your company logo. Your stationary design allows you to display your company’s logo at the top of letterhead and other items. This means that your business stationery becomes a vital marketing tool for the promotion of your business amongst people who receive your letterheads, business cards, etc. Build brand identity. 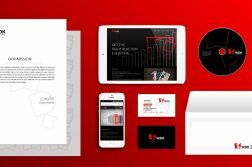 Well designed stationery is your way to build your brand identity and company image. The stationary design takes your business a step forward for effectively marketing your brand. The design of header, footer and company name and the use of typeface and colors seamlessly blend together to build a strong brand for your company and reinforce everything your company stands for without saying even a single word. Build authority and trust. With custom stationeries, consumers can easily know who you are and what your company does. Stationery design lends a sense of authority and accountability to the contents of your business correspondence. In turn, it helps in building trust for your business. When readers see your company letterhead, they immediately know it is authentic and official letter and they confidently take decisions about transacting with your business. How stationery design helps in marketing? To enhance your market reach, you need to impress your clients first. They are the ones who will buy your products and they also help in creating word of mouth publicity for your offerings. 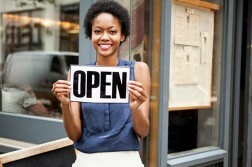 This in turn helps in building a consumer base and winning the loyalty of your consumers and clients. According to Forbes, 90% of consumers buy products that their friends, family and acquaintances recommend. This means that recommendations from friends and family matters more to consumers than advertisements. This also means that 9 out of 10 people trust word of mouth more than what your company propagates through its display advertisements and web banners. Professionally created and designed stationery means that you are putting your best foot forward when your intention is to build a strong brand identity for your business. Well-designed stationaries come in handy when it comes to creating an image that you run business professionally and that the products you offer are of great quality. How is professionally designed stationary different from ordinary ones? There is a vast difference between an average stationery design and a professional one. A professional stationery features of right elements of colors, typeface, icons, logo, space etc. Such professional designs take care of your company image and help in building trust amongst your target consumers. An ordinary design is just casually drawn with no intention to create an impact. Such stationery items leave no impression on the receivers and so they can ignore your business easily. To create a great stationery design, you must first mull over vital aspects of your business and chalk out the goals and objectives of your business and research about your customers and their profile. This helps in selecting the right color scheme, fonts, slogan and other elements that can convey your message effectively to the target audience. How to stationery designs that can promote your brand? Now, when you know that creative business stationary designs can take elements of your brand and showcase them to the world in a way that’s even more awesome, you would want to source such creative designs. And the next logical step you will take is to hire a reputable design firm to help you with your company’s stationary design needs. But hiring the services of a design firm doesn’t come cheap. And you’ll typically have to pay through your nose for professional stationary designs. However, with the growing number of design crowdsourcing contest sites, sourcing great stationary designs for affordable prices is not entirely out of the realm of possibility. Contests on stationery design by Designhill, for one, offer countless opportunities for that. Remember that no matter where you choose to source your stationary design from, you need to ensure that your stationery is capable of representing your business well. The design should aim at impressing your consumers, clients, investors and affiliates right from the get go so that they take your word on the letterhead seriously and make commitments to your business. Author Bio – Jyoti Bhandari holds advanced degrees in both graphic designing and marketing. Working as a ghost writer, blogger and designer with designhill.com, Jyoti Bhandari has authored and edited several articles, blog posts, columns and editorials on business marketing and branding strategies, graphic design, e-commerce and start-ups.